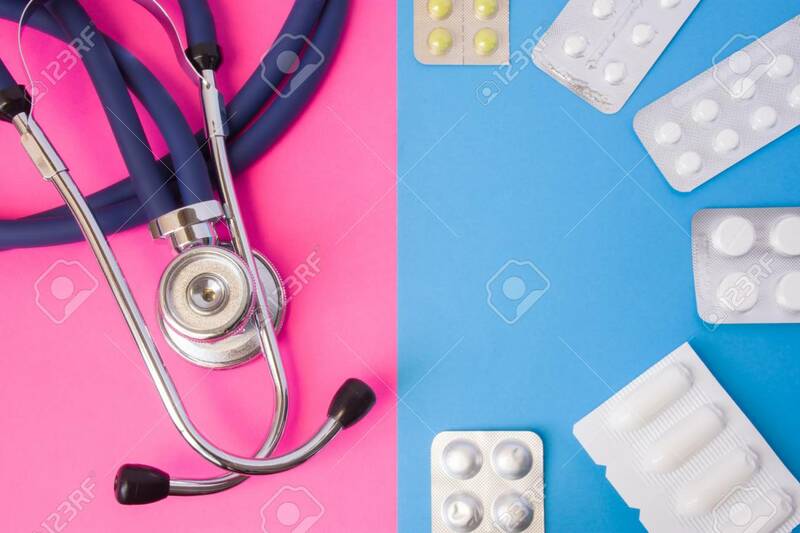 Pills, Drugs, Medictions And Suppositories In Blister Package And Medical Stethoscope In Two Colors Background: Blue And Pink. Concept Of Drug Therapy, Treatment, Curing Diseases Of Men And Women Royalty Free Stok Fotoğraf, Resimler, Görseller Ve Stok Fotoğrafçılık. Image 92315830.